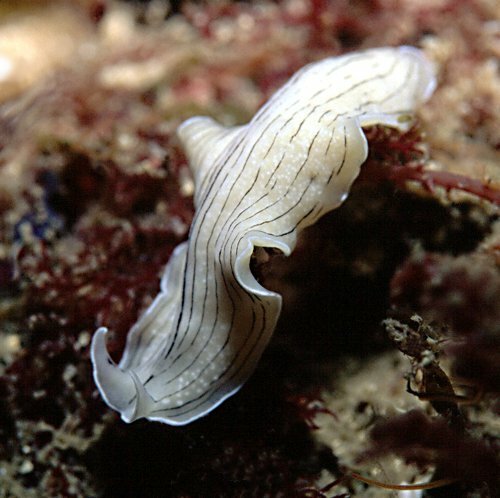 Comments This flatworm has an ivory-coloured body with numerous, thin, black, longitudinal lines. The number of these lines is quite variable. The head shows two conspicuous pseudotentacles. During the day, the P. vittatus hides below stones and in crevices. At night it crawls around to feed on tunicates such as Clavelina sp.